The Onion, America’s Finest News Source, today announced it is continuing its pursuit of justice and truth with the release of its very first podcast, “A Very Fatal Murder.” In its 262-year history, The Onion has conquered every platform in its path across print and digital news media. Now, with a six-episode season of gripping reportage, The Onion and Onion Public Radio (OPR) will extend their dominance into the much-ignored genre of true crime podcasts. Hayley Price of Bluff Springs, Nebraska was a typical 17-year old-with big dreams and very clear skin. She was a high achiever. A prom queen. An animal lover. A doting girlfriend. A Libra. But one chilly Thursday morning in May, Hayley Price was found on the floor of the local bottle cap factory where her father worked. What’s more, she was dead. Onion Public Radio sent esteemed podcaster and NYU-graduate David Pascall to investigate the unsolved murder of Hayley Price in its inaugural podcast, “A Very Fatal Murder.” With a team of 100+ unpaid OPR interns, David toiled to get to the bottom of one of the most insidious murders of our time. From the elusive town millionaire to Hayley’s hot as hell boyfriend, in a town where everyone knows everyone and everyone knows something, anyone could be a suspect. 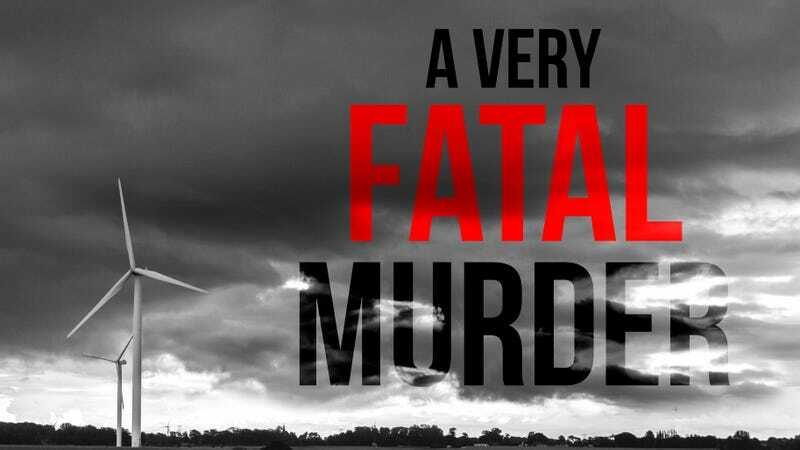 The six-part limited narrative podcast series “A Very Fatal Murder” is now available across a number of platforms including Apple Podcasts, Spotify, Stitcher, Google Play, NPR One, and iHeartRadio.